Sapa located in the north - west of Vietnam, about 350 km from Hanoi. It belongs to Lao Cai province, which a modest land but hides many wonders of the natural scene. The natural beauty of Sapa is combined with human creativity, the topography of the mountains, green forests, which creates romantic spot. Sapa lies at altitude of 1500-1650m, it has invaluable resources with cool and fresh air, the climate is moderate and rainy in summer (May-August) and foggy with occasional snowfalls in winter. Sapa has temperate climate; weather in town has four seasons: the morning likes spring; the afternoon likes summer with sunny; the evening has fog as the autumn and the cold of winter. It is highly seasonal, with a subtropical climate in the summer and a temperate climate during the winter. Mean annual temperature for Sapa town is 15.4°C, with a maximum of 29.4°C and a minimum of 1°C. Sapa has a great diversity of ethnic minorities; the total population is 36,000 people that consist mostly of minority groups. Each ethnic group has a difference in dress, lifestyle, customs, and methods of cultivation together with the distinct cultural identity. With 6 ethnic groups reside, each ethnic has its own culture with a festival such as "Roong Poc" of Giay, "Sai San" of H'Mong, "Tet jump" of Dao Do, which is held annually in May. Sapa has Fan Si Pan at a height of 3142m above sea level that is the highest mountain in Vietnam. Tourists can visit Ham Rong mountain, any visitors can also see the whole town from here along with Muong Hoa valley, Sa Pa, Cat Cat, Lao Chai, Ta Van, Ta Phin that hidden in the mist. 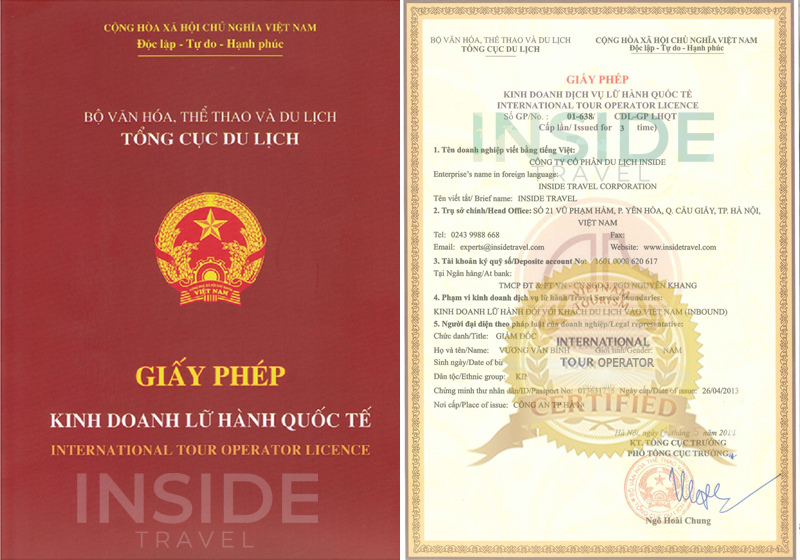 Sapa tour also has old church in town and goes from to the northeast on the road to Ta Phin. From Sapa town to the west about 12 kilometers on the road to Lai Chau, we will see Silver Waterfall with water rushing down from a height of 200m. In addition, SaPa is the "kingdom" of fruit such as purple plum, peach, peach blossom with small and big yellow size. Sapa's fair starts on Sunday at the district capital. People must go to fair on Saturday. On Saturday evening, everyone can enjoy the folk songs of the Mong, Dao. · Time to challenge with the trails to many hill tribe villages. 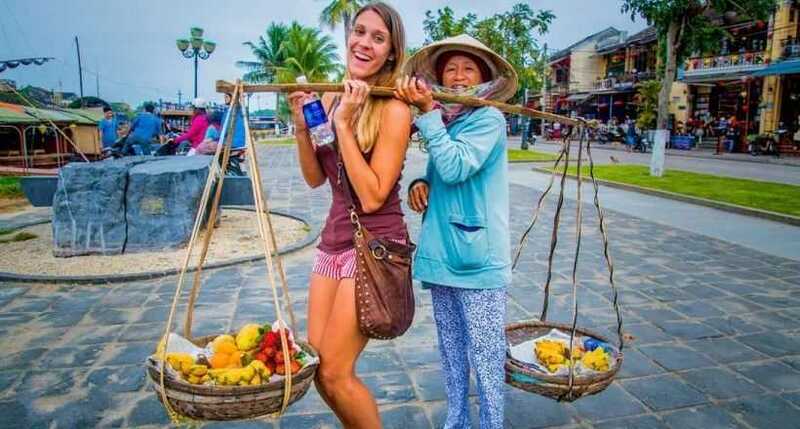 · Joining in colorful local markets to see the local's daily activities and know about local trading. · Great chance to enjoy pristine nature and environment on the mountainous region in Lao Cai. · Knowing about the life, special cultures and customs of ethnic people in hill tribe village, especially Hmong ethnic and Giay Ethnic group. 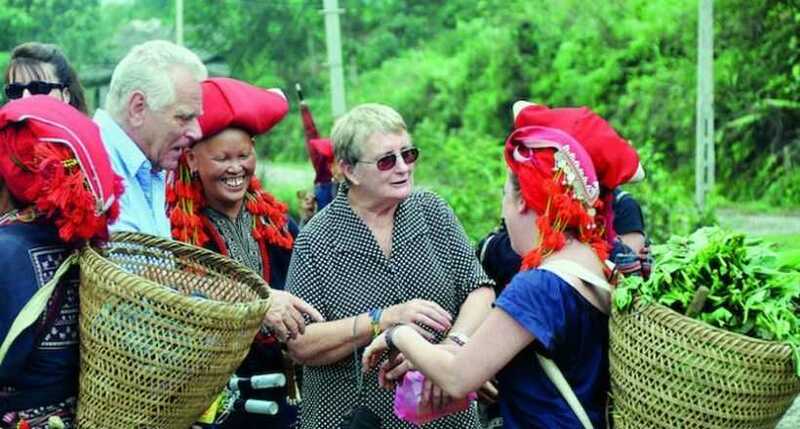 · Visiting many hill tribe villages and have a great opportunity to communicate with local ethnic people. · Exploring the beauty of Sapa in the Lao Cai province and know more about the local minority by visiting their home. · Enjoying the whole view of Sapa when standing on the high mountains. · Delicious seafood meals and wonderful caves, grottoes are waiting visitor in Halong Bay. · Taking part in many interesting activities like swimming and exploring caves. 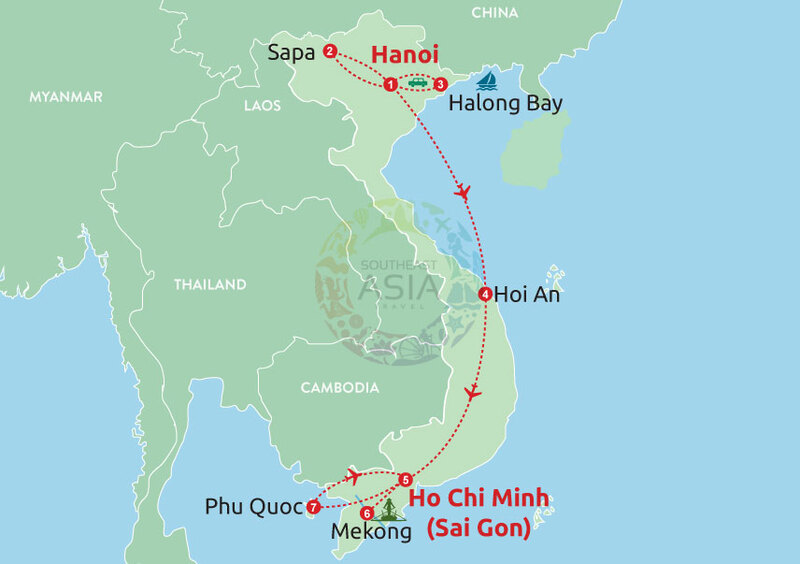 · Discovering the capital city of Vietnam and know more about the tradition, life style and the history as well by visiting many landscapes and relics. 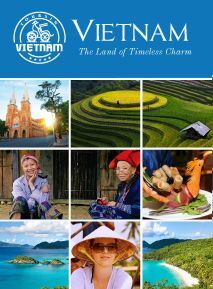 · Enjoying the strange beauty of a typical remote province in Vietnam, understand more about the daily life of the minorities and visit many interesting places. · Comfortable with the cool air and water of Halong Bay, one of the Seven Wonders of the World with many interesting activities like swimming, exploring caves and many others awesome places. 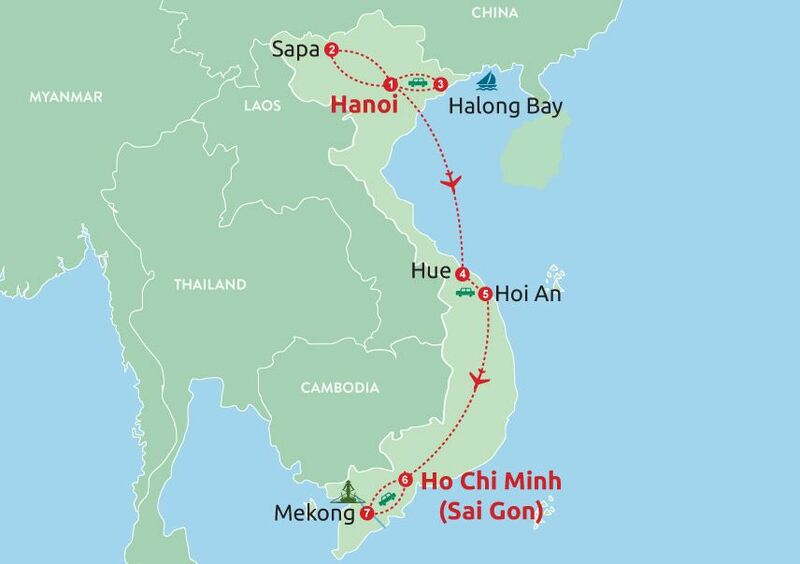 · Visiting the beautiful capital of Vietnam with friendly Hanoi people and many landscapes. 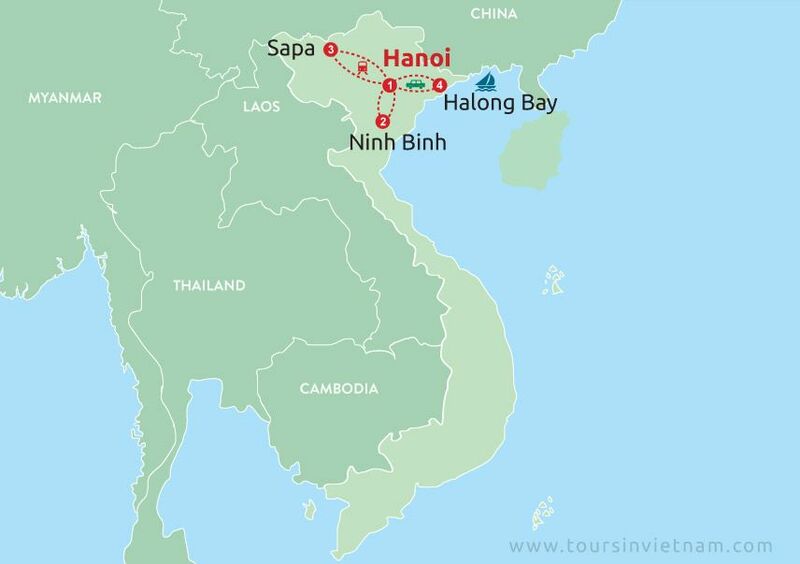 · Heading to Hoa Lu, the ancient capital of Vietnam where stores one of the most important parts in the history of the nation, the Dinh and Early Le dynasties. · Near Hoa Lu, Tam Coc offers the visitors many wonderful views with the blending of scenes and colors. · In Sapa, meet the local minorities and know more about their life style, enjoy the beauty of a typical remote area. · Halong Bay with hundreds of caves and islands will give the visitors many unforgettable moments.